Current controller – Continuous or strobe – 2 channels. The Full FCONTROL is a current control electronics module that provides led systems with steady current. Easy to use, it enables a very precise setting of the output current. Therefore, thanks to the Full FCONTROL, led lightings are perfectly protected against the temperature and supply voltage variations. 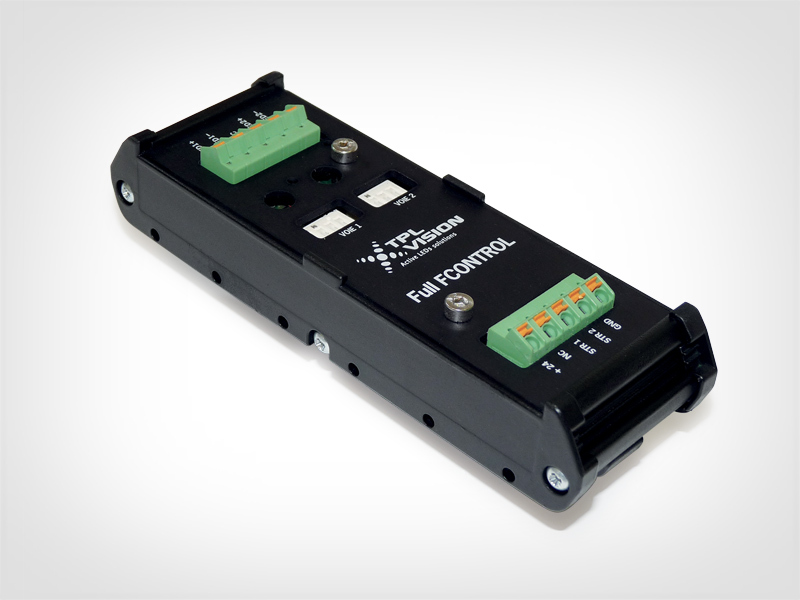 The Full FCONTROL can work from 7 VDC to 30 VDC. In all cases, the supply voltage has to be higher than the expected voltage for the leds. The strobe activation and the current setting are made through switches. Each channel is customizable separately. The Full FCONTROL is protected against polarity reversal (in and out), in order to avoid any destruction.